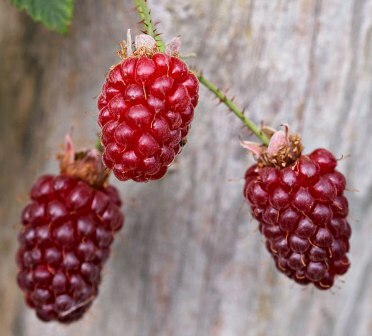 Loganberry turned out to be a productive new fruit and therefore became popular with growers. In 1897, loganberry was taken to Europe. A vigorous growing shrub, shoots upto 10 feet in one season even without issigation; canes without thorns, spines very fine, soft like those in raspberry bushes. Leaves deep green, coarse and thick. Fruit deep purple at maturity. Loganberries can be eaten fresh. They can also be used as an ingredient in many recipes, such as sherry trifle, pies, jams, crumbles, wines, and fruit syrups. Juice is also made from loganberry fruits. The juice is available at supermarkets in Western New York Southern Ontario in Canada. 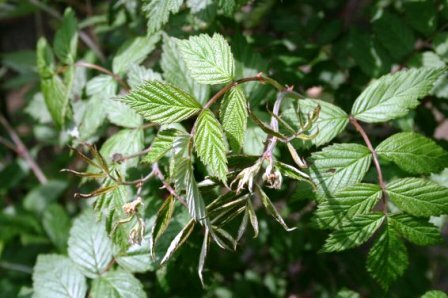 Loganberries are productive and have adapted well. They are more frost and disease resistant than most berries. However, still these are mostly grown only in home gardens. Plants can continue bearing for 15 years. In nature, these are self-propagating. Each bush produces about 7 to 8 kg fruits. 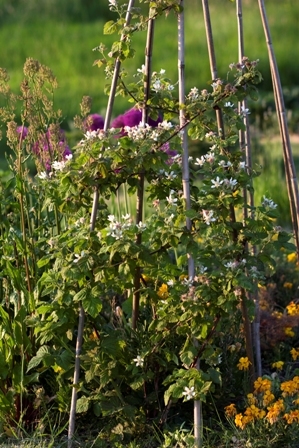 A bush in the garden should ideally have 10 canes. Loganberry fruits are ready to harvest when fruits turn their colour to deep purple.